We were incorporated under the Laws of the Province of Ontario in May 1985. We received our welding procedure qualification from the Ministry of Consumer and Commercial Relations in September of 1985. Registration number K924.5. Our skilled team has lived and worked in Brantford for Many years, and they are able to provide welding / steel fabricating to your complete satisfaction. Our plant, located at 15 Kenyon Street, is an all steel structure. We would welcome your visit to view our facility at your convenience. We pride ourselves in our workmanship, on time completion and a quality that is guaranteed. 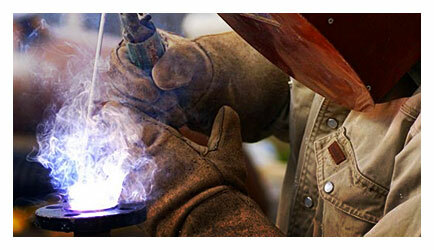 Shearing - 1/2" x 10"
Catherwood Welding & Boiler Service Inc. Copyright: all rights reserved.